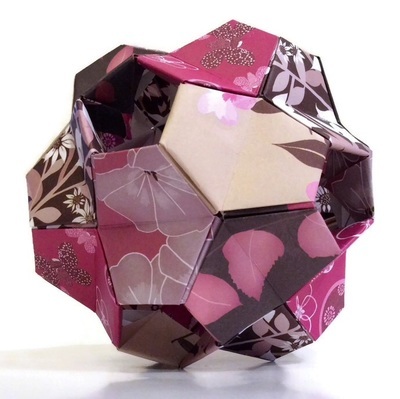 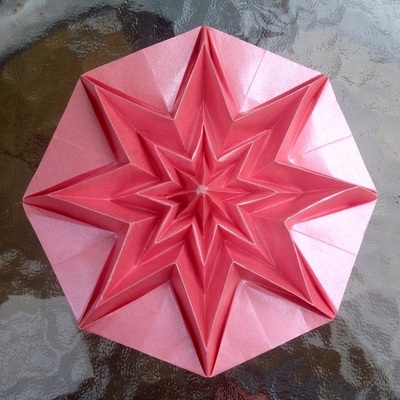 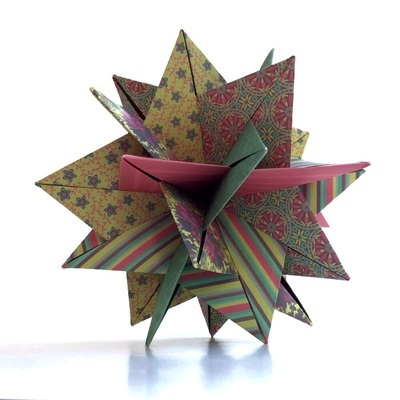 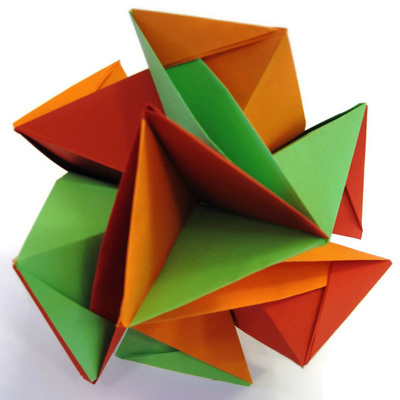 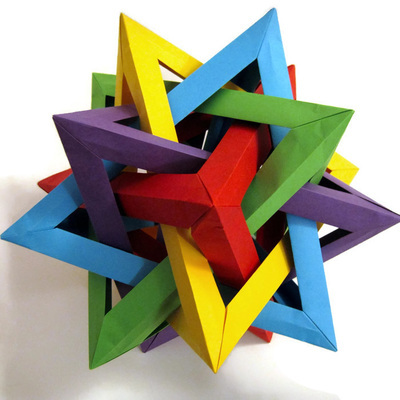 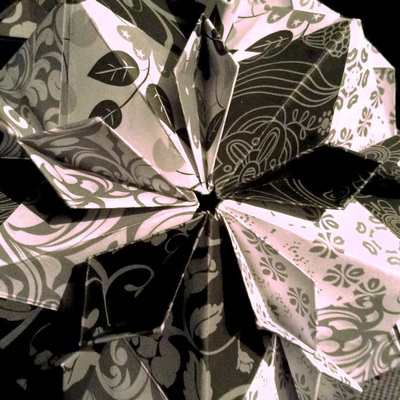 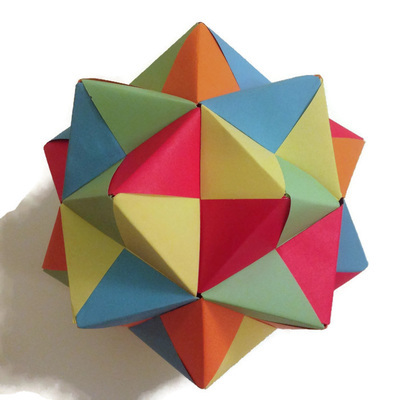 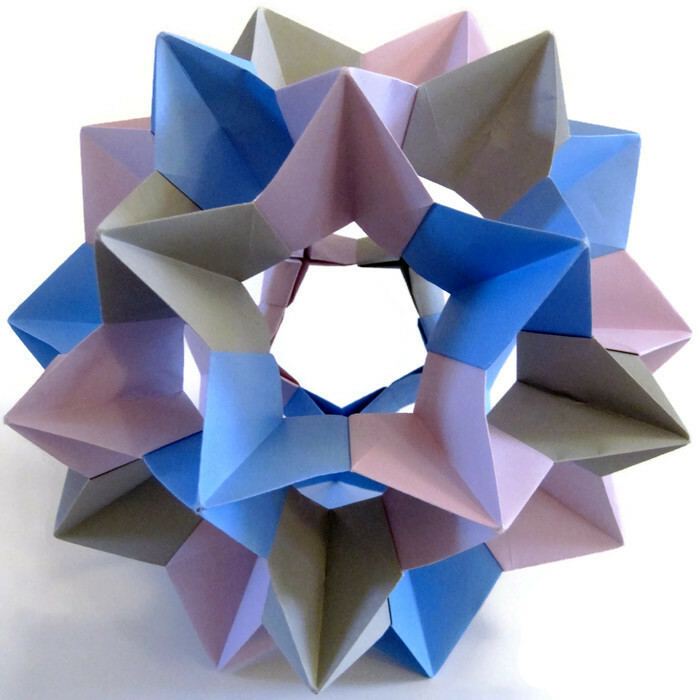 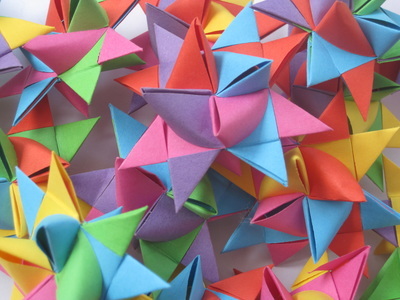 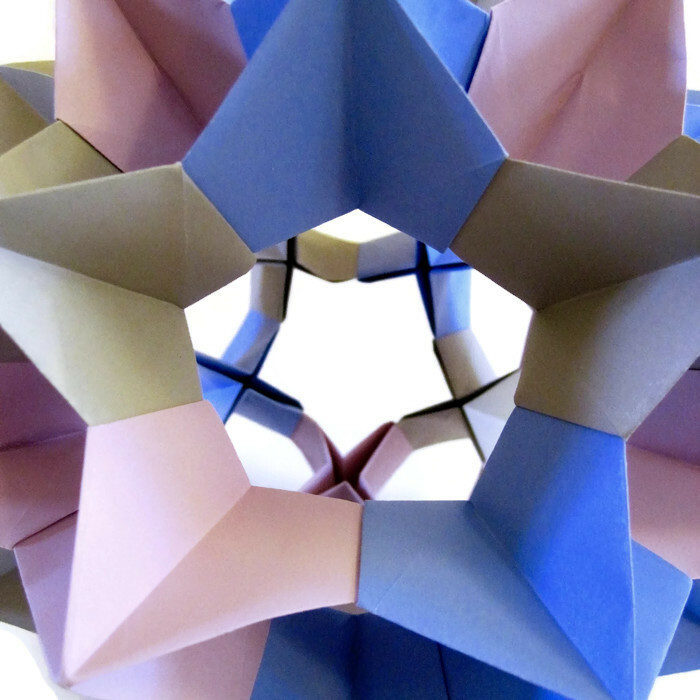 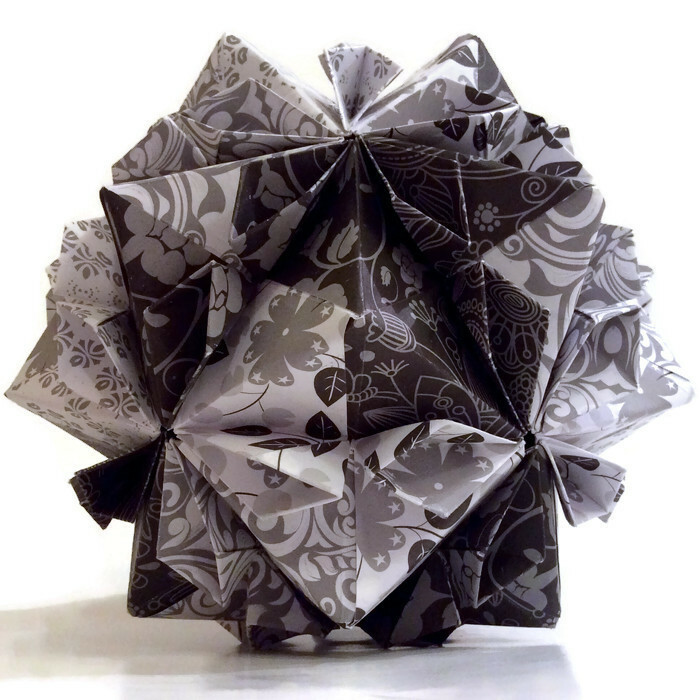 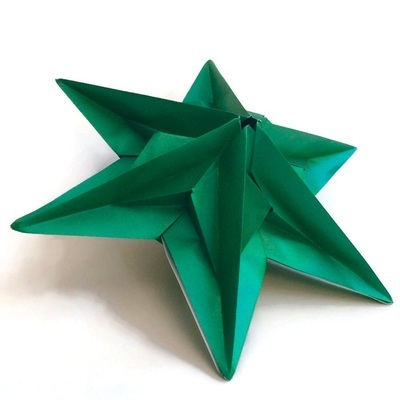 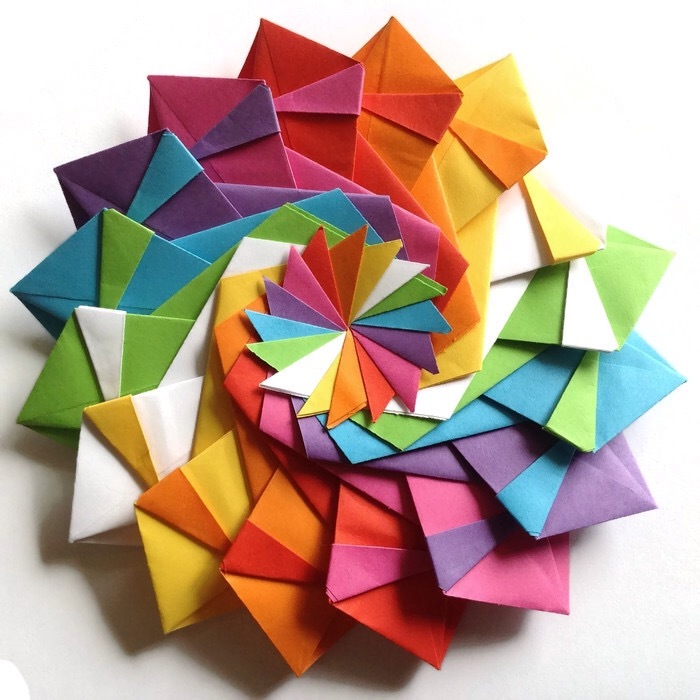 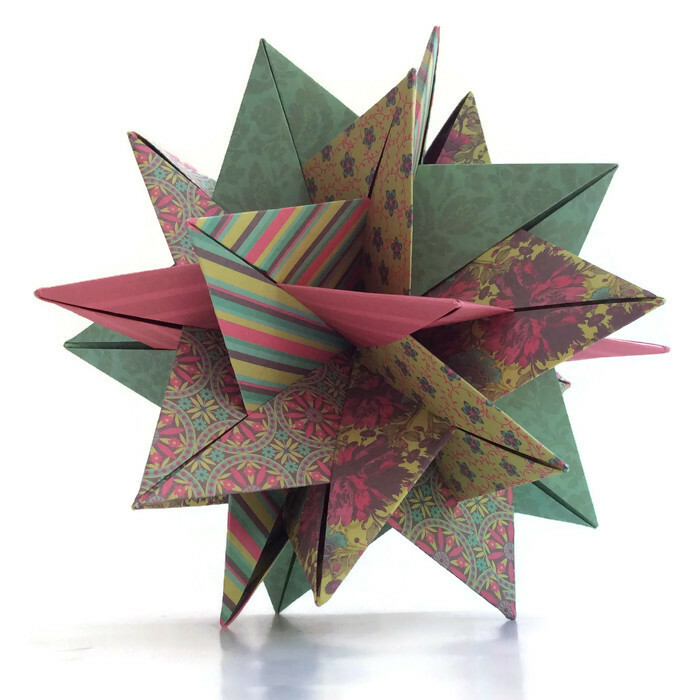 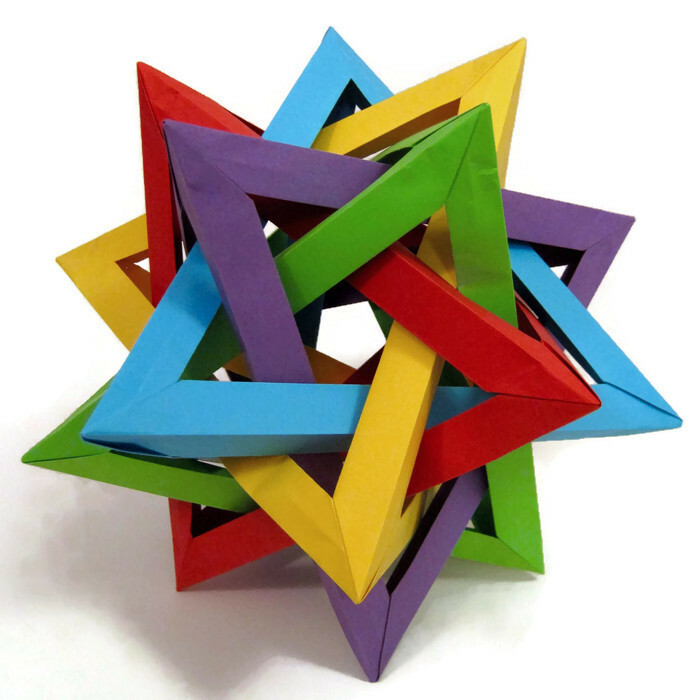 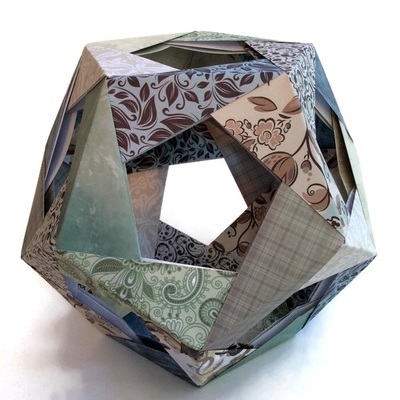 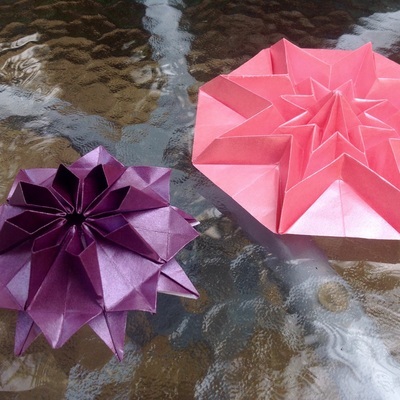 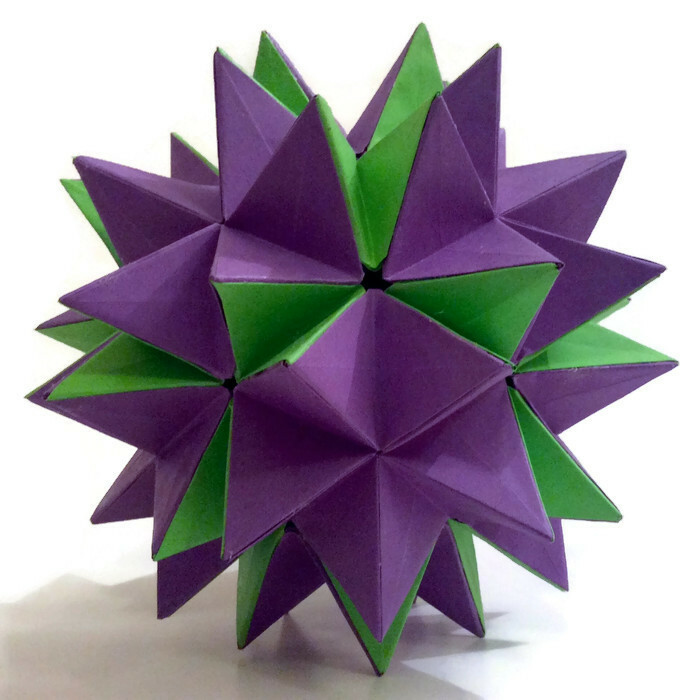 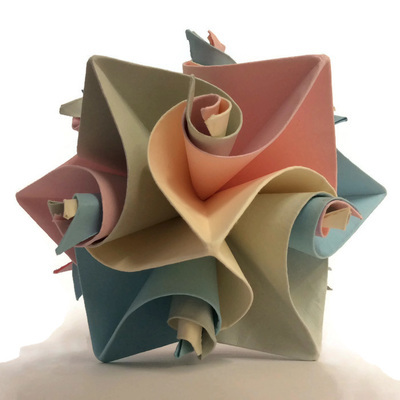 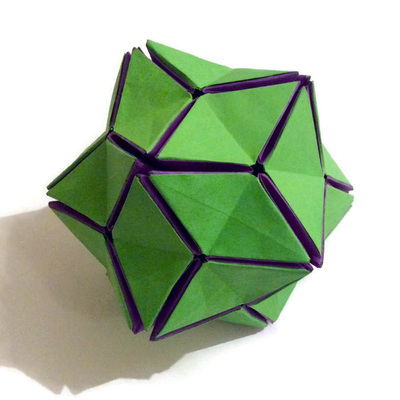 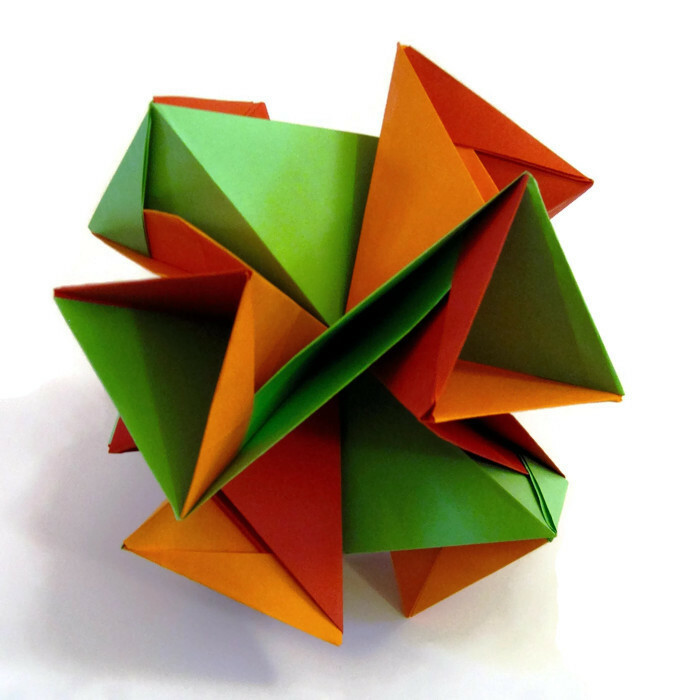 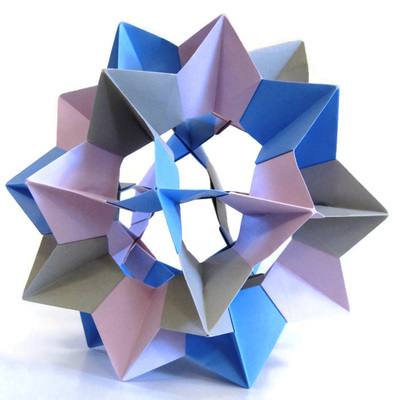 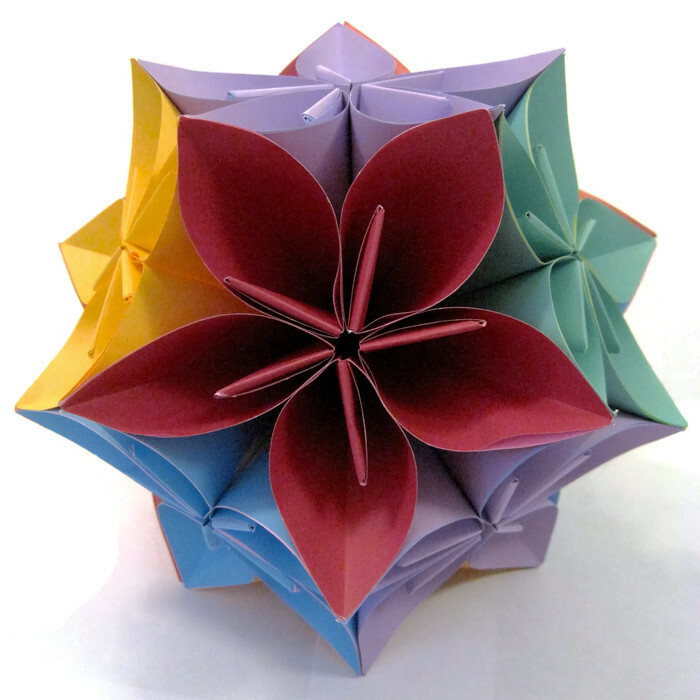 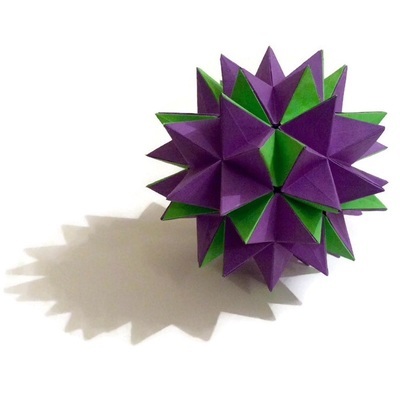 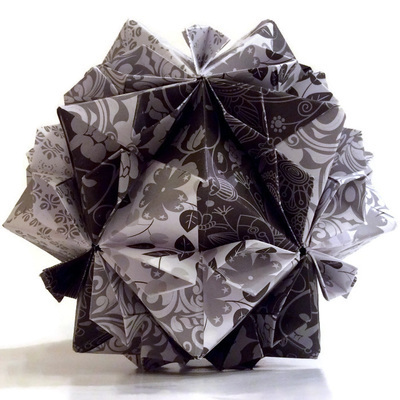 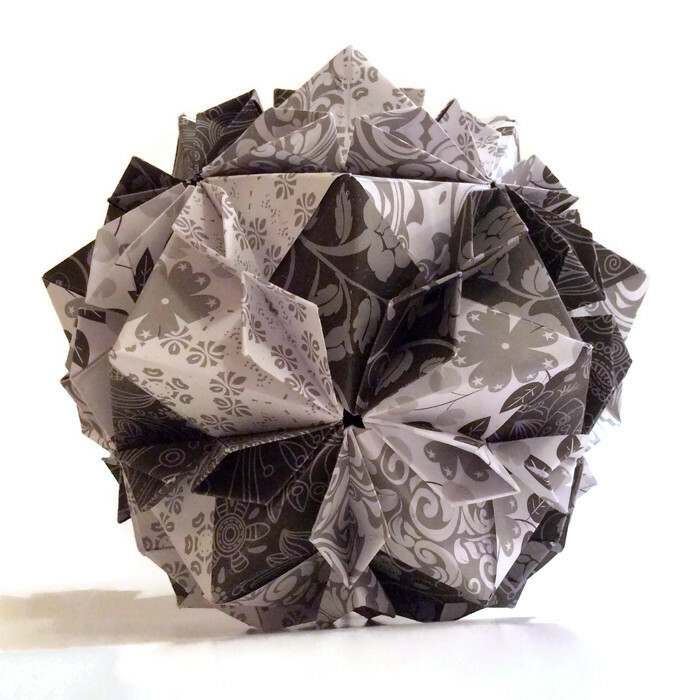 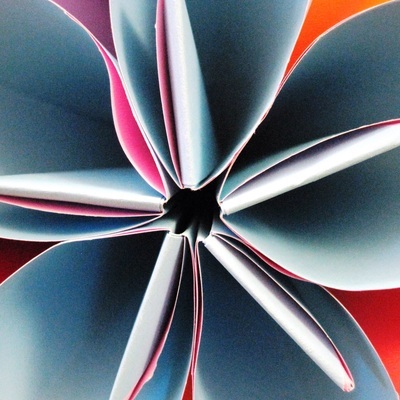 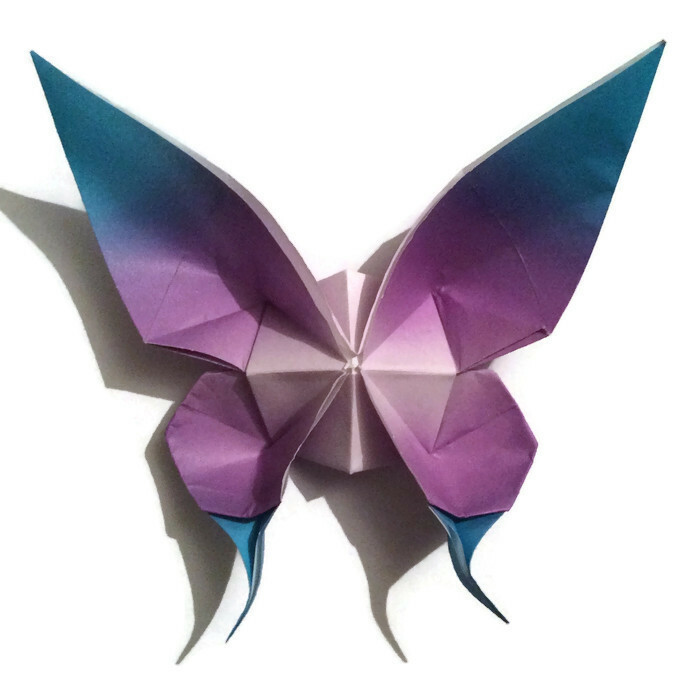 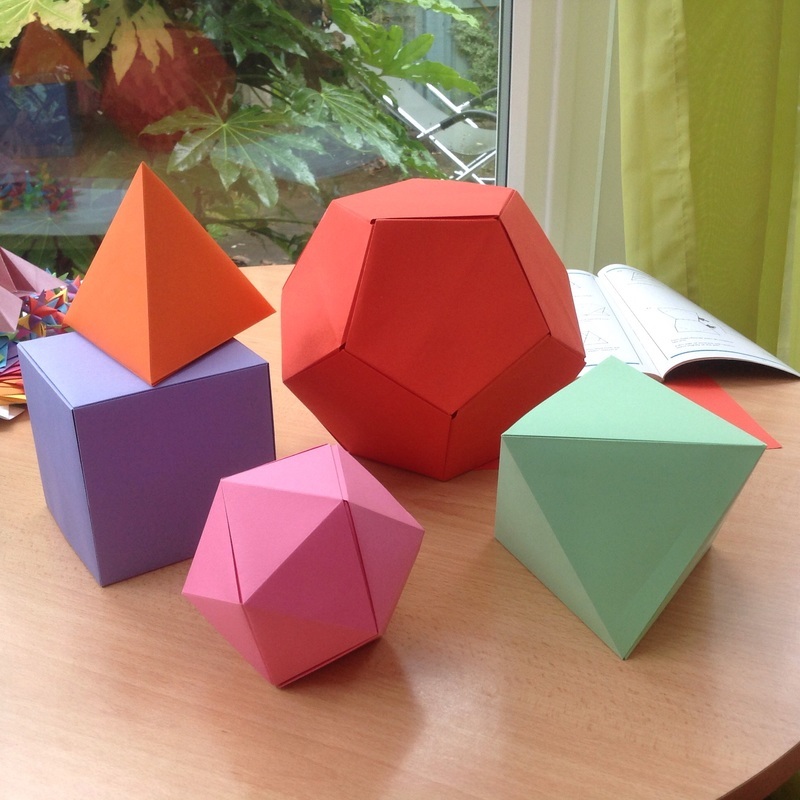 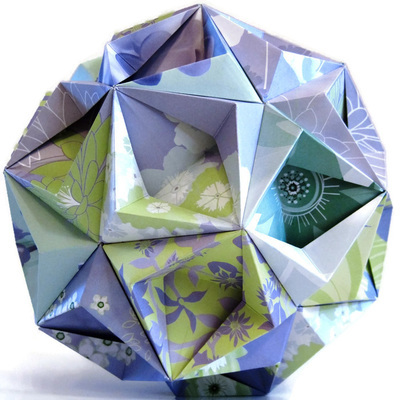 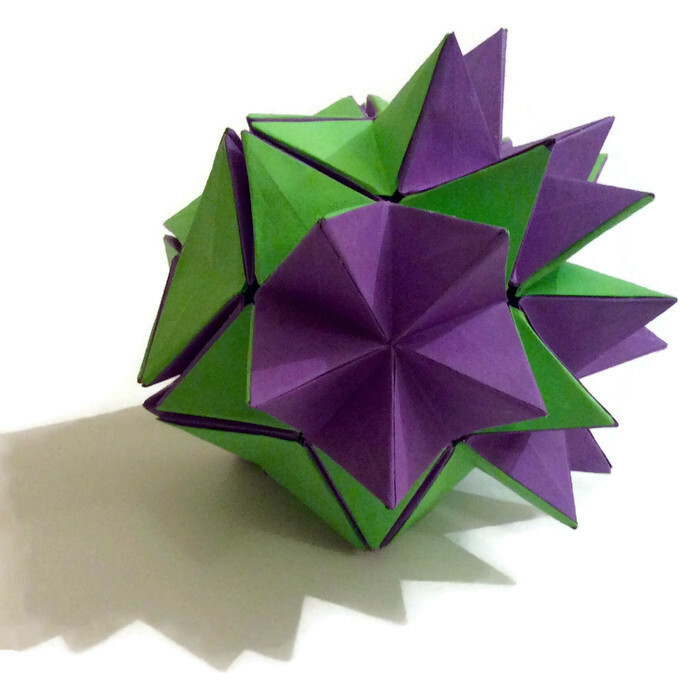 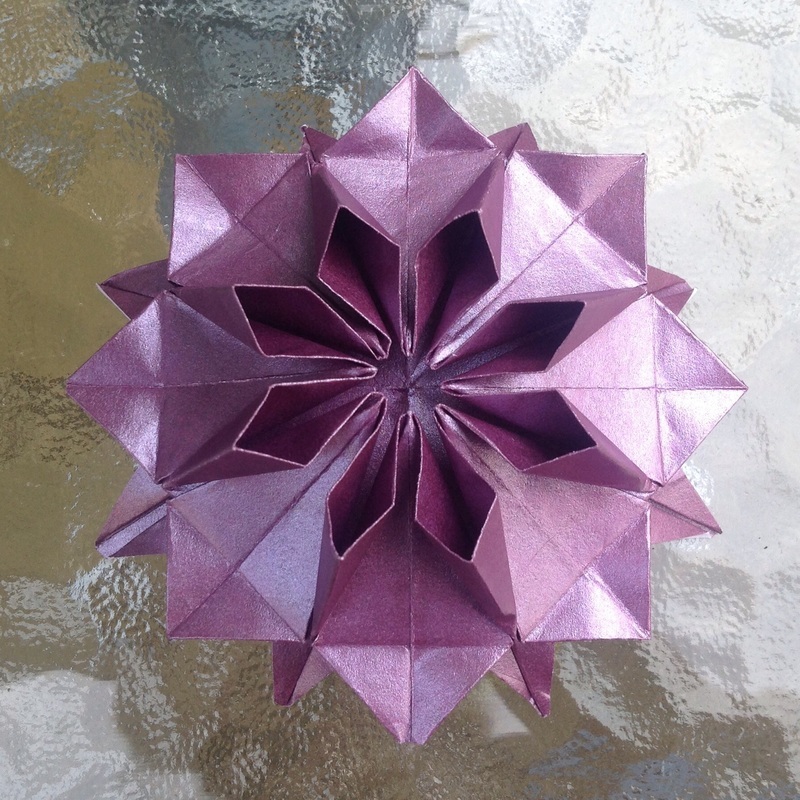 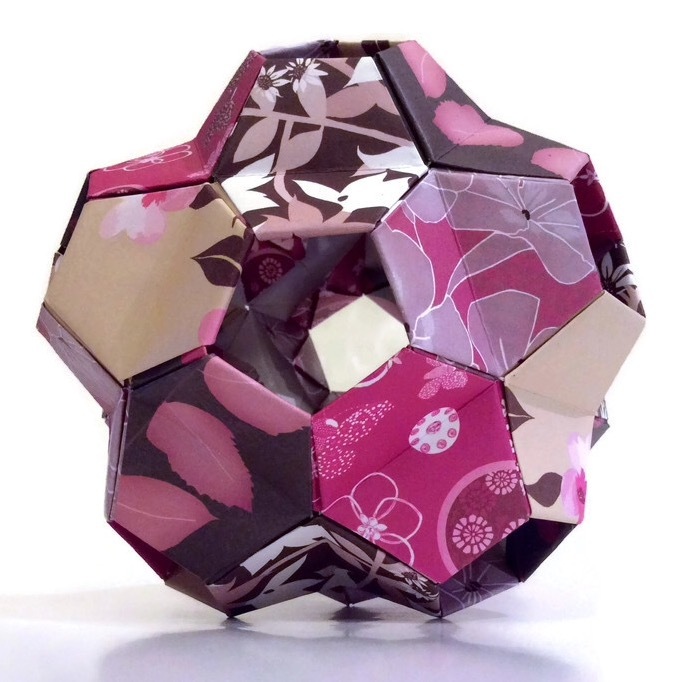 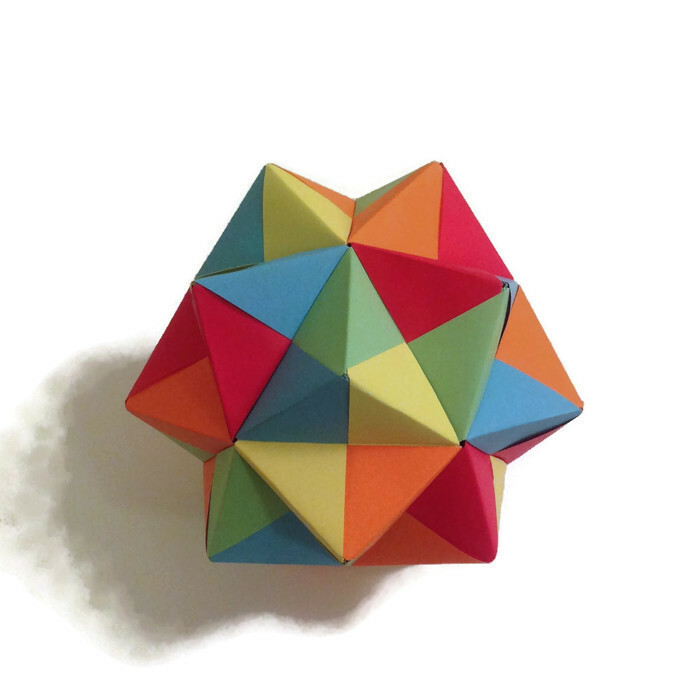 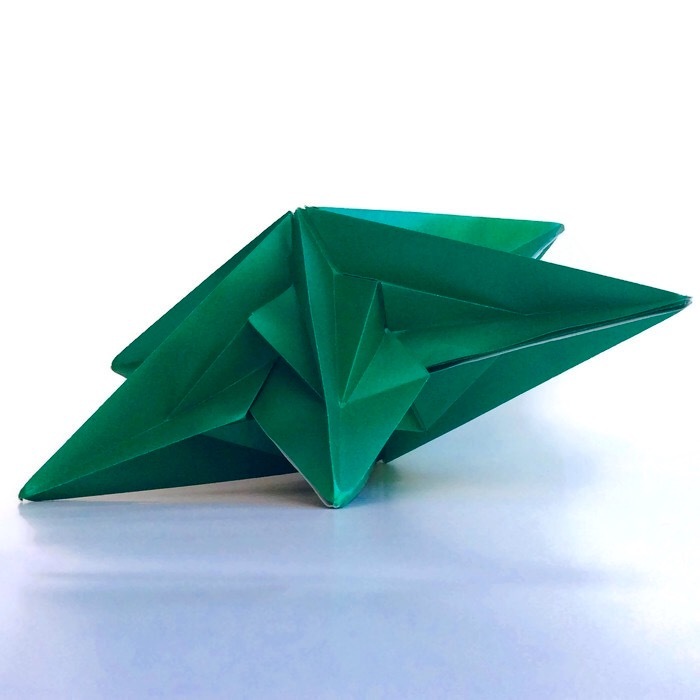 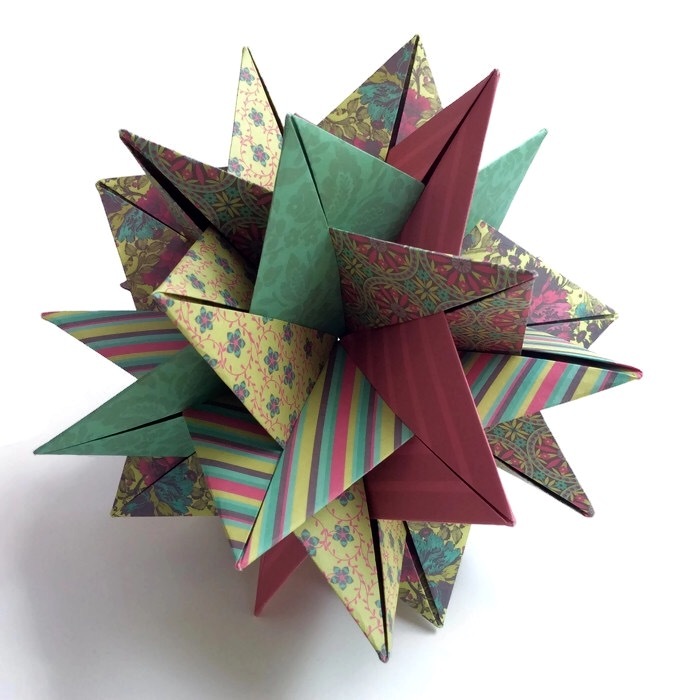 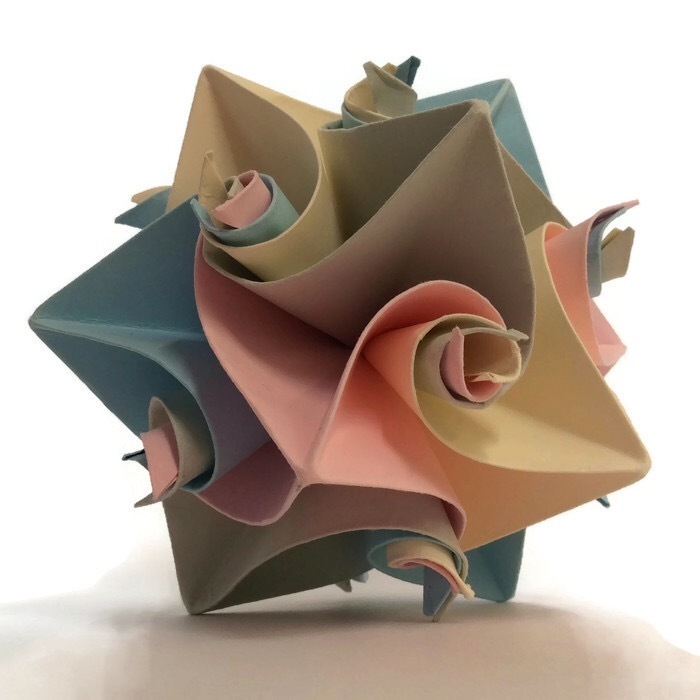 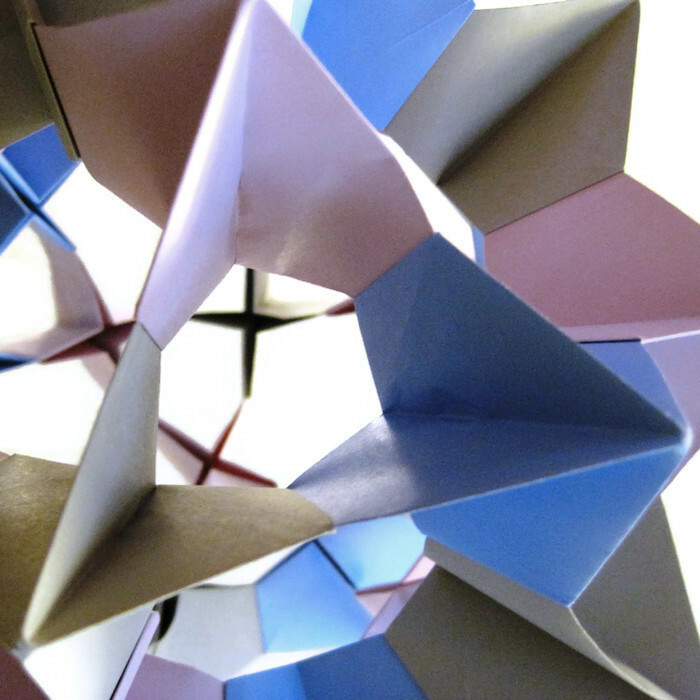 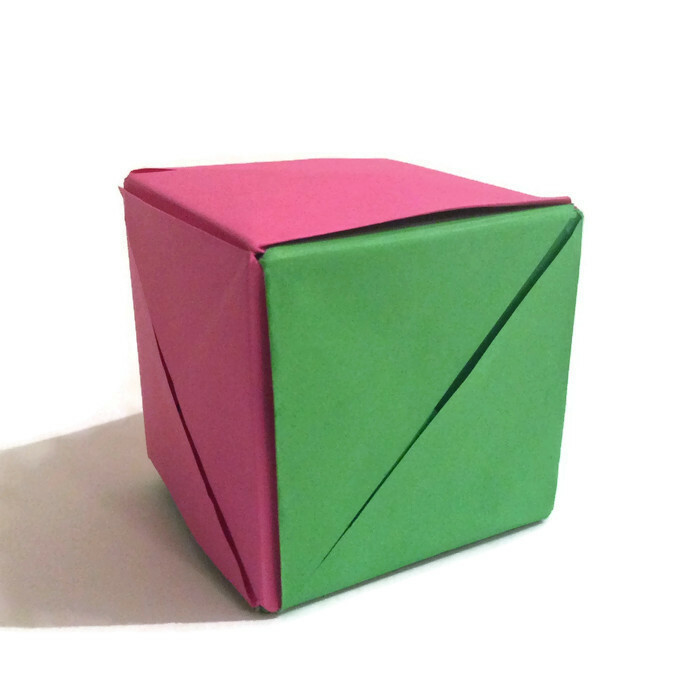 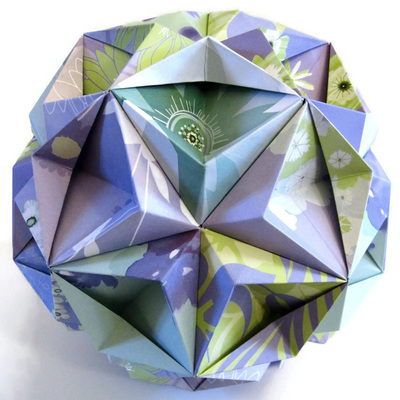 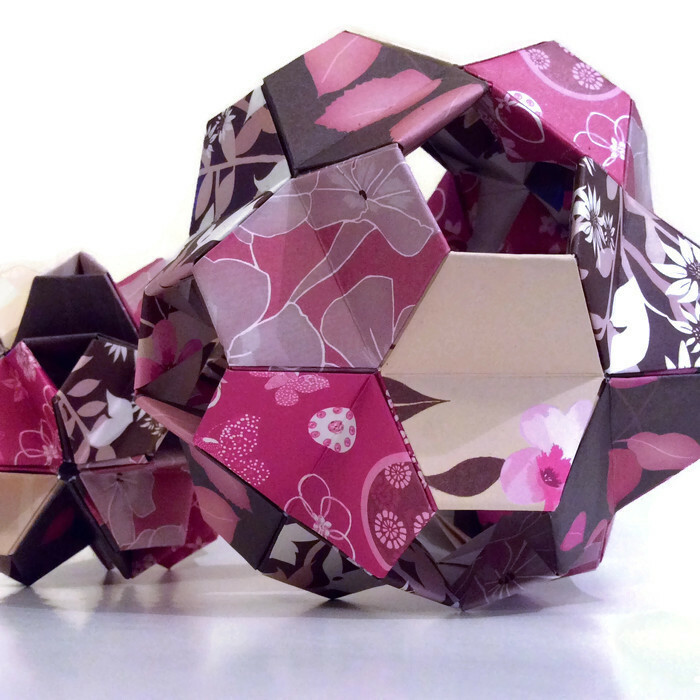 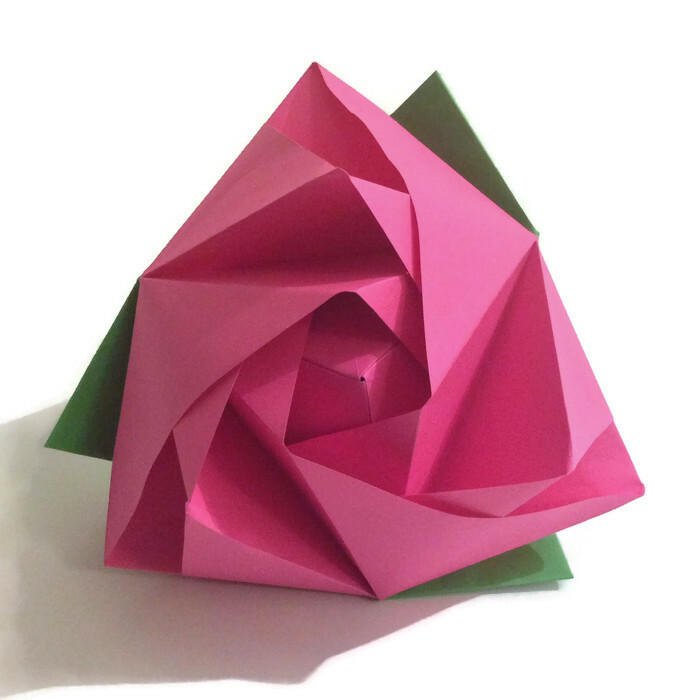 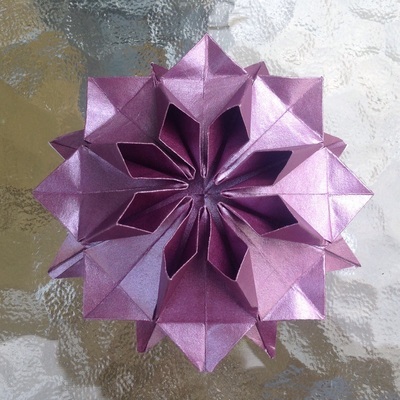 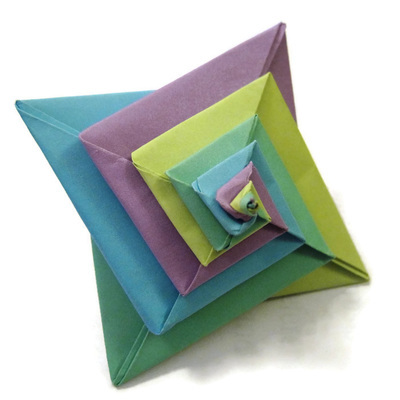 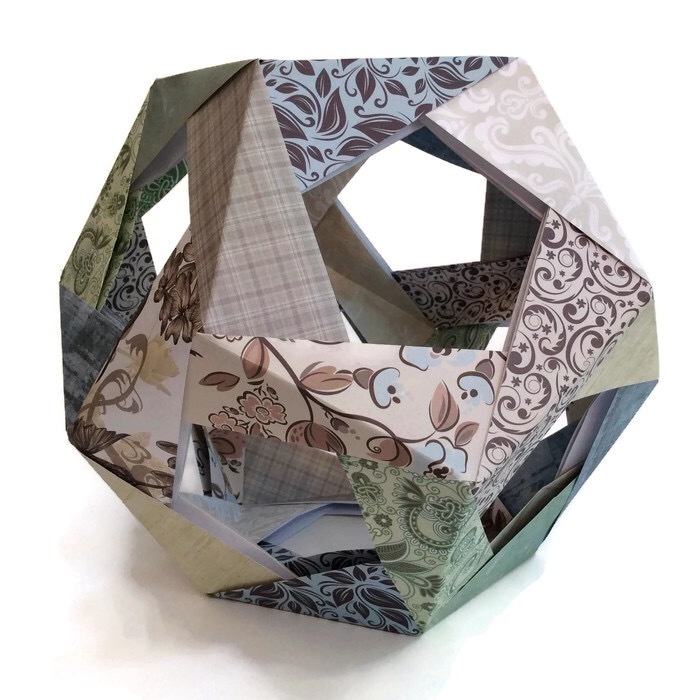 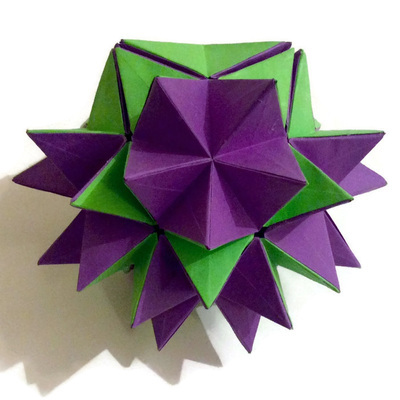 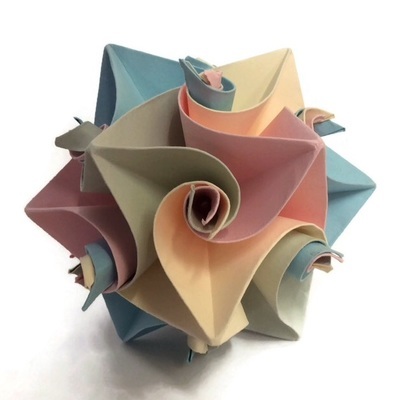 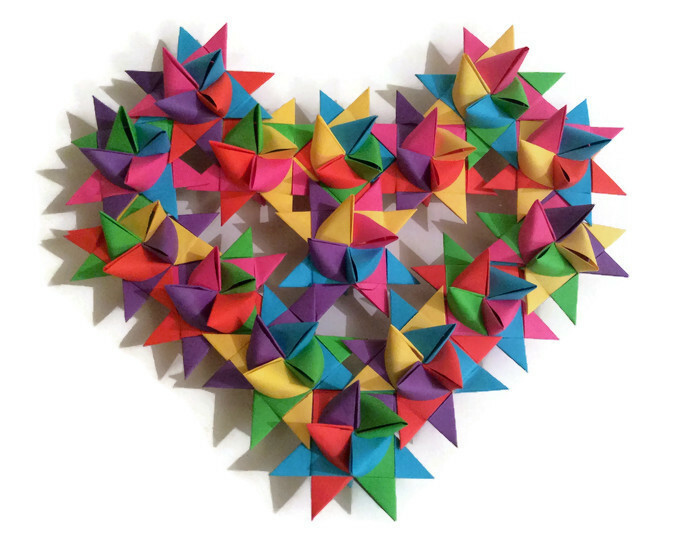 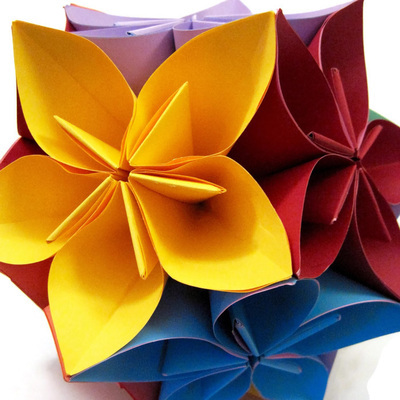 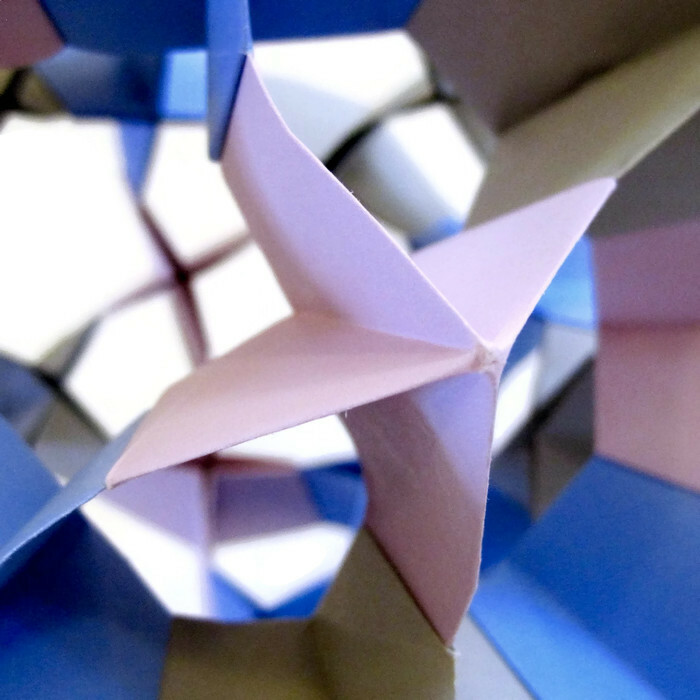 On this page you will find photos of geometric modular origami, designed by origami masters and folded by me. 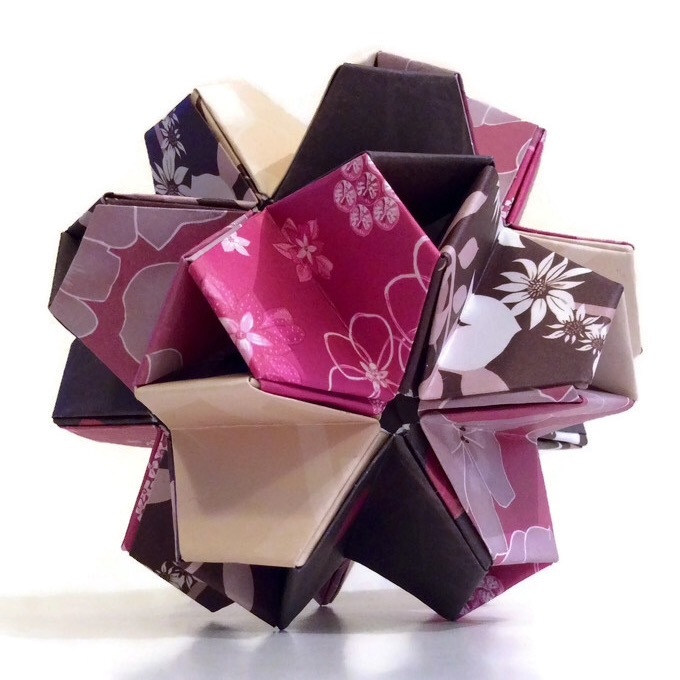 Hover your cursor over the first photo of each model to see more information about it. 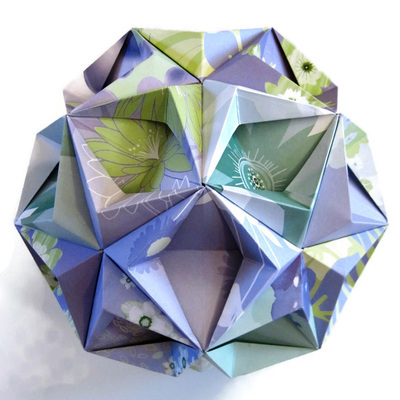 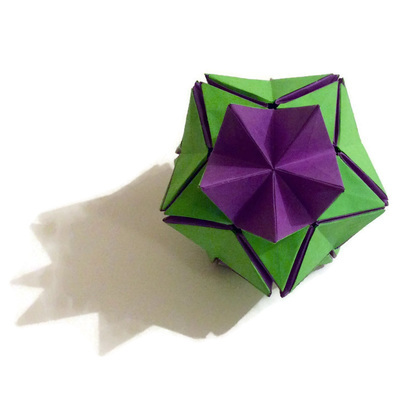 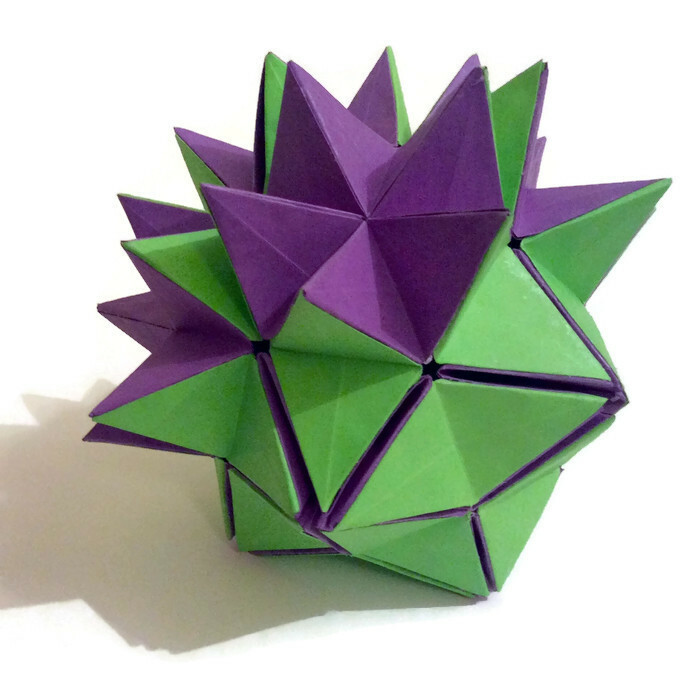 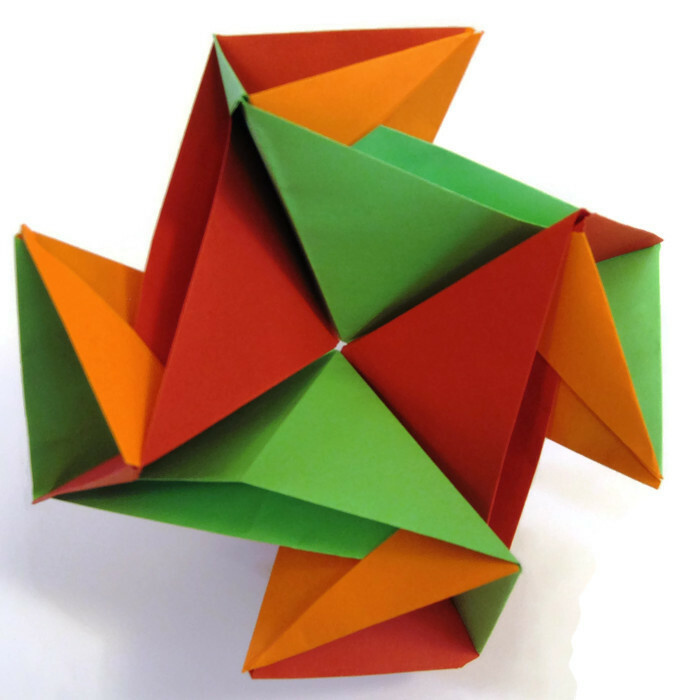 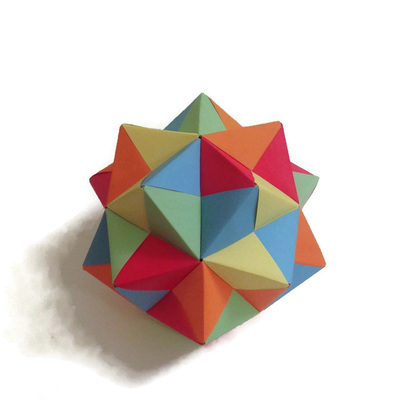 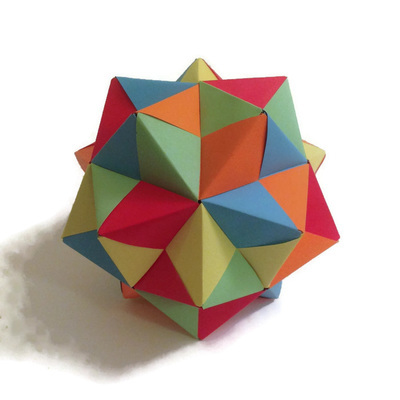 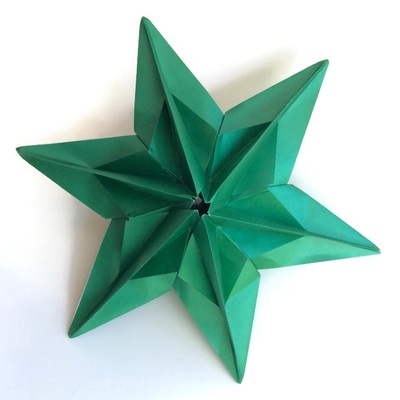 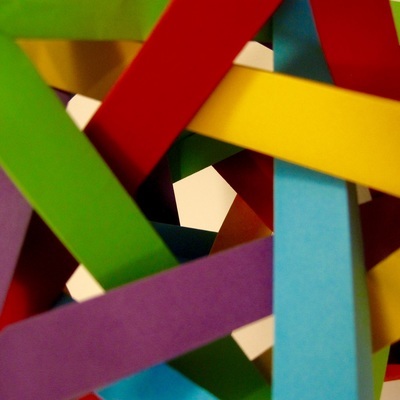 Constructing modular origami is an immensely satisfying pursuit, and one I would recommend to anyone who enjoys working with their hands, or who remembers enjoying model-making or building with Lego or Meccano as a child. 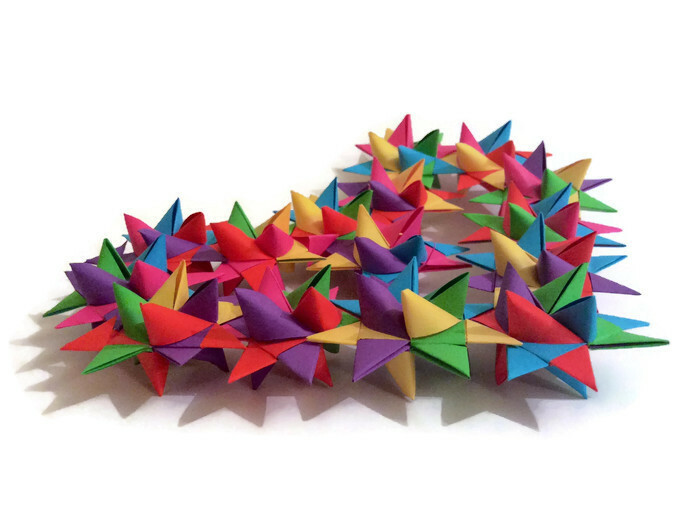 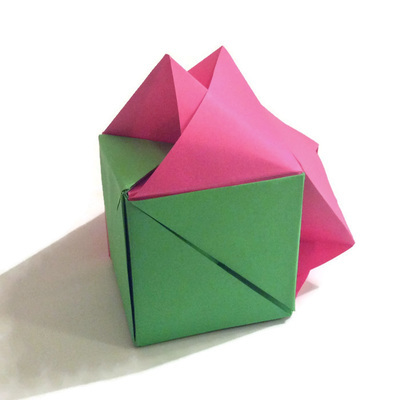 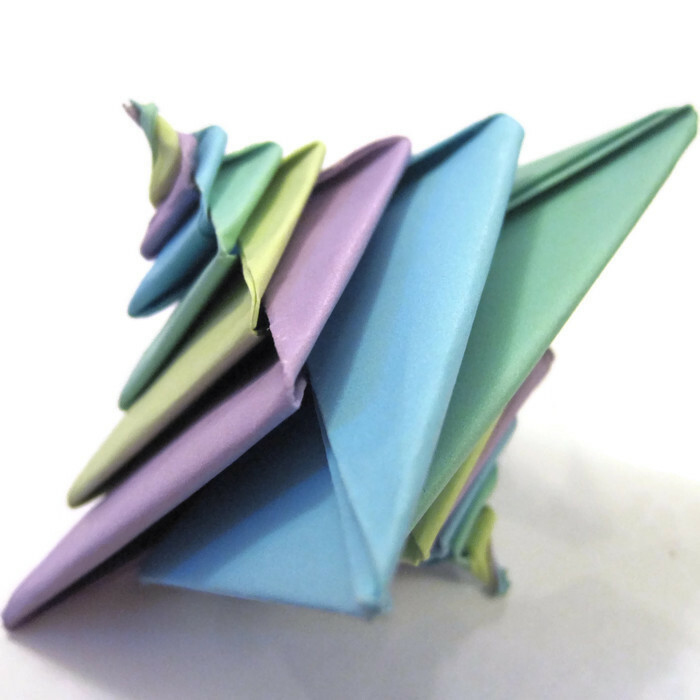 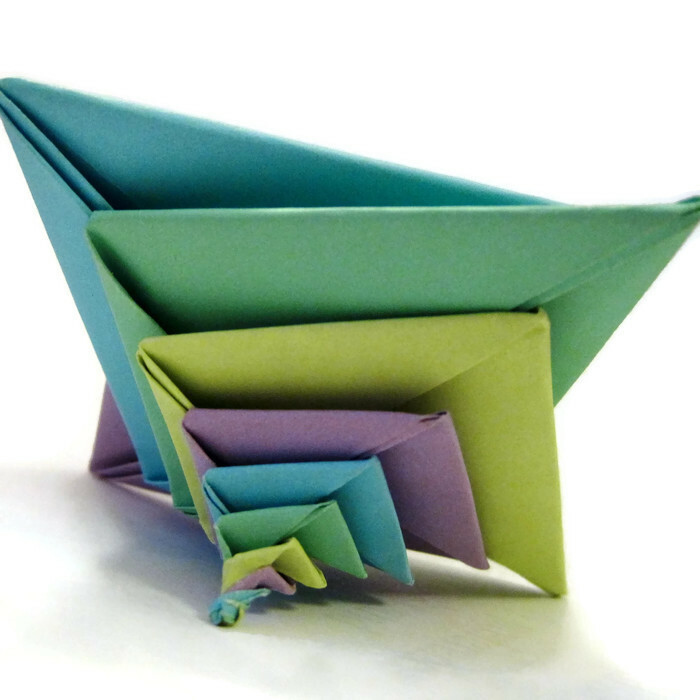 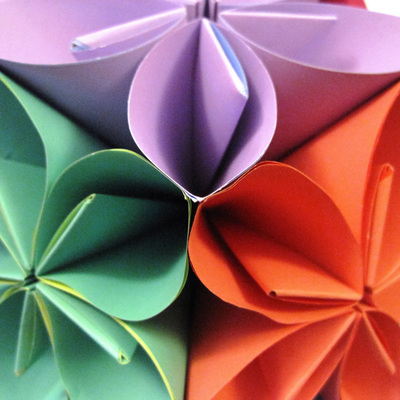 The process of folding dozens of the same modular unit, over and over again, induces a meditative, flow-like state. And the challenge of then constructing the finished model can be incredibly rewarding. 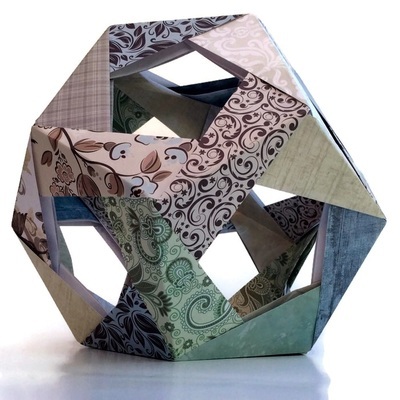 To top it all off, you end up with a beautiful geometric form to admire and enjoy!